Lead out Cable. 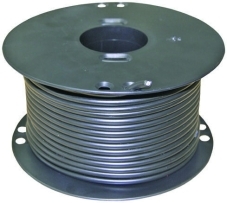 6mm x 50m High voltage double insulated, UPVC coated with 1.6mm steel core. The cable connects the mains powered energisers to the electric fence and earth.